Add the power of “where” to WordPress. The Web Maps for WordPress plugin integrates the power of “where” into your pages and posts with interactive maps exposing authoritative content. 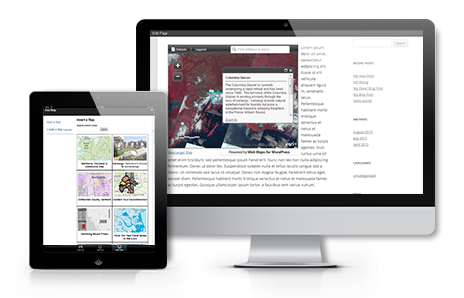 Web Maps is designed to bridge the gap between authoritative maps registered with ArcGIS Online and WordPress (the most widely used CMS on the market). For the first time, millions of WordPress users will be able to seamlessly enhance the information they’re communicating with authoritative maps, exposing authoritative content from authoritative sources.